Going to the dentist can be challenging for any child, but it’s especially hard for children with special needs. However, you shouldn’t be afraid of your next dental visit, because with the help of your dentist in Buckinghamshire you can prepare your child in the best way possible. At Garden View Dental Care, we provide preventive dental care to children with special needs. We appreciate that children with special needs may experience more severe dental problems, but we are here to make them feel comfortable throughout the procedure. 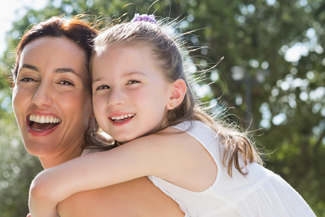 Instead of dreading your next visit with your child to your dentist in Buckinghamshire, talk to us and we will do our best to accommodate your needs. At Garden View Dental Care, we have experience in treating young children as well as children with special needs. However, in order to make the most out of your appointment, you should let us know in advance as much as possible about the general and oral health of your child. Spending a little time gathering all this information for us will go a long way since we will be better informed and we can devise a personalised and effective treatment plan to help improve your child’s oral health. Moreover, discussing your child’s needs in advance is quite important, since this will give us time to prepare. If your child needs to be distracted, please let us know and we will do our best to provide distraction according to their medical condition. It is also advised to schedule your appointment at that time in the day that your child feels more relaxed. Children with special needs struggle to establish a dental routine but this can change with your help. Reminding your child to brush and floss their teeth on a daily basis (or doing it for them if they can’t perform these actions on their own) is really important, since these actions teach them responsibility and good oral hygiene habits. With our help of our dentist in Buckinghamshire, your dental visit doesn’t need to be a chore. This entry was posted in Dentist on 23rd January, 2019 by Garden View Dental Care.